Pumpkin is one of my favorite flavors, whether it's Fall or just the beginning of Spring. 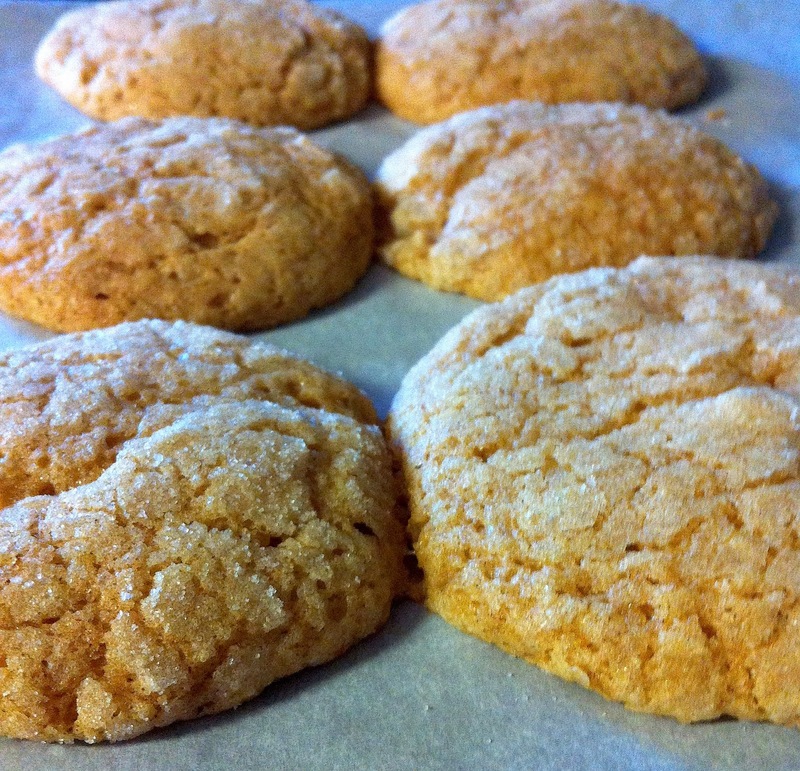 So, when I found the recipe for these Pumpkin Sugar Cookies, I knew I had to bookmark them ASAP. Since my sister and I have been home for spring break, we've been spending a lot of time in the kitchen. We've been making dinner every night and have made cookies three times now. 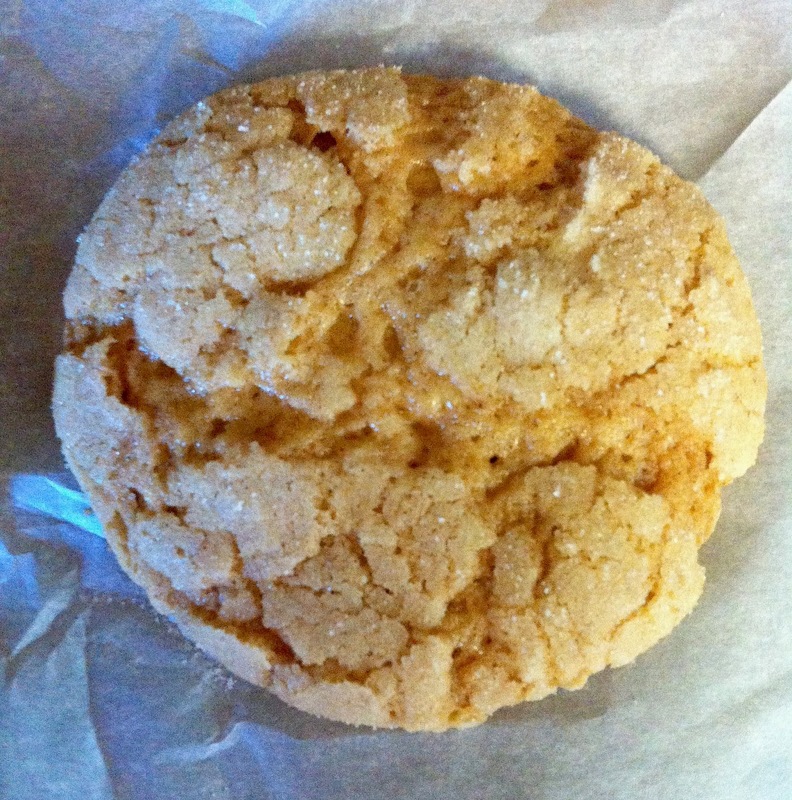 We decided to mix things up and try making the pumpkin sugar cookies, and we loved them! My sister has some issues with ripping off sheets of parchment paper. Every time she tries, they come out crooked and crinkled. Haha, so please excuse the super crinkly paper in the pictures. Gotta love her for trying! When rolling this dough into balls to roll in sugar, it was so sticky. I was worried we had completely messed up the dough, but the recipe says that it's going to get messy. And messy it was! We had to pull off globs and drop them in the sugar before rolling them in order to form the dough into a ball shape. But we finally did it! And the cookies turned out quite yummy. 1. Preheat oven to 350°F. Line two baking sheets with parchment paper or silpats. Set aside. 2. In a medium bowl, whisk together flour, cream of tartar, baking powder, cinnamon, baking soda and salt. Set aside. 3. 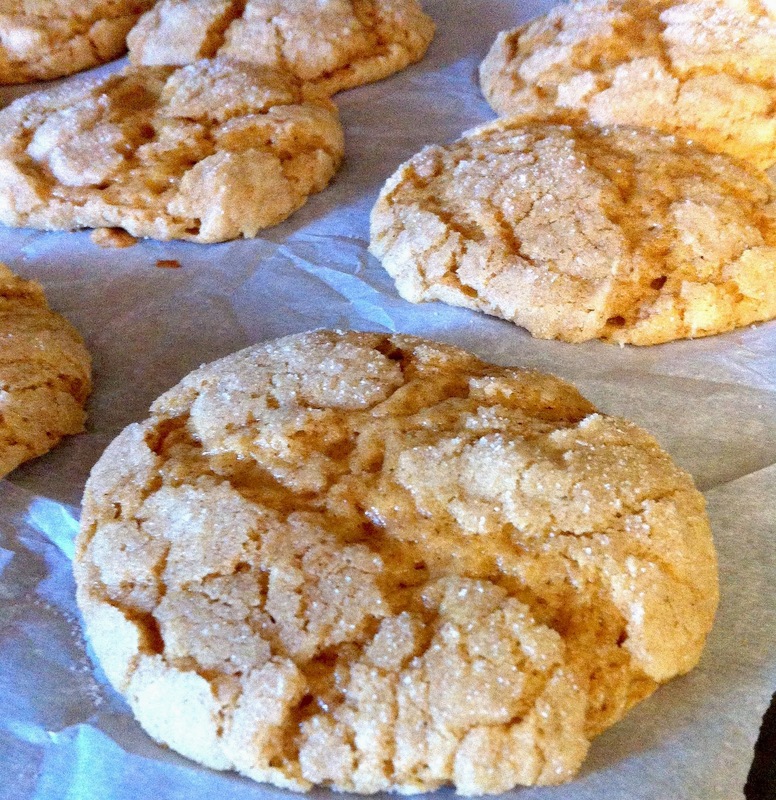 In a stand mixer, beat butter and sugar until light and fluffy. Add egg, pumpkin and vanilla extract, mixing until combined. Add flour mixture, mixing until completely combined. 4. 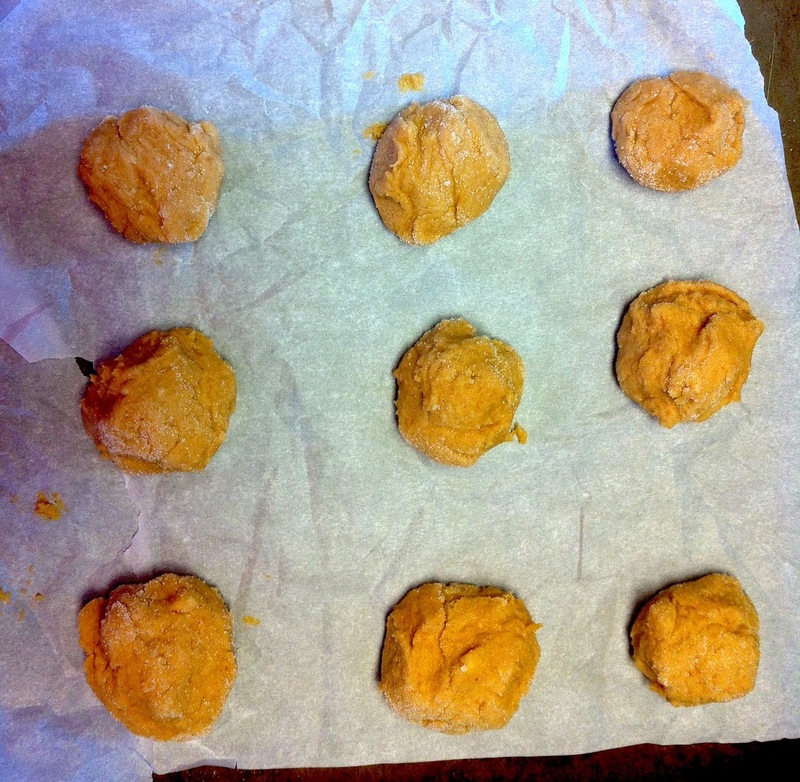 Roll one heaping tablespoon of dough into balls (dough will be sticky) and then roll in sugar. Place on prepared baking sheet - leaving about an inch for spreading. 5. Bake for 8-10 minutes, until the centers are set. Remove from oven and let cookies rest on baking sheet for 5 minutes. Then transfer to a wire rack to cool completely. Store in an airtight container for up to 5 days. Don't they look so pretty? Make sure you bake them ALL THE WAY because half of mine weren't completely done, so they were quite soft, but they still tasted delicious! I'd just recommend baking them for at least 10 minutes so that they're cooked all the way through. I can't wait to make these when Fall comes and I'm craving pumpkin in everything I eat!